Wow! 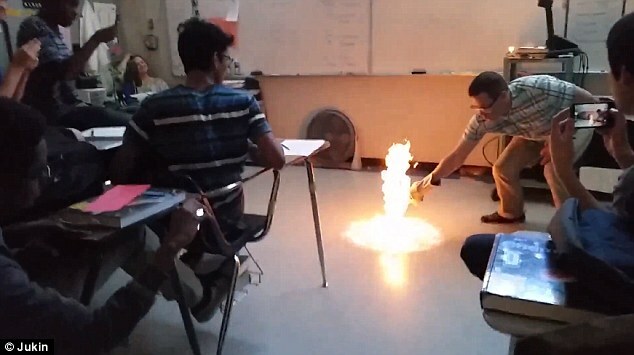 I wish I could do cool experiments like this one for my students. 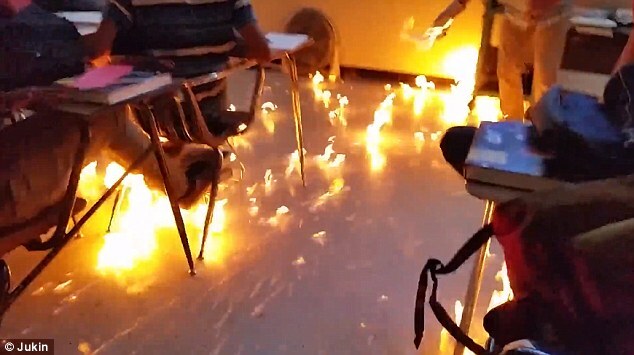 A chemistry teacher wowed his class by setting the floor on fire during a lesson. 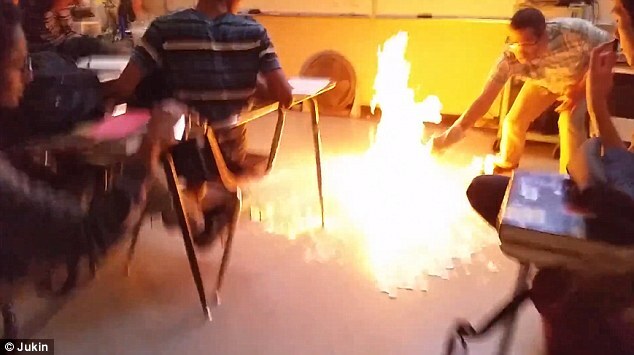 The risky stunt was captured on camera by a student and shows the teacher standing at the front of the classroom in America holding a flaming test tube. The compound used in the demonstration is liquid methane, which as it boils releases a flammable gas. The video of the experiment can be found here. This entry was posted on June 15, 2015 at 10:30 pm and is filed under Engaging Students. You can follow any responses to this entry through the RSS 2.0 feed. You can leave a response, or trackback from your own site.